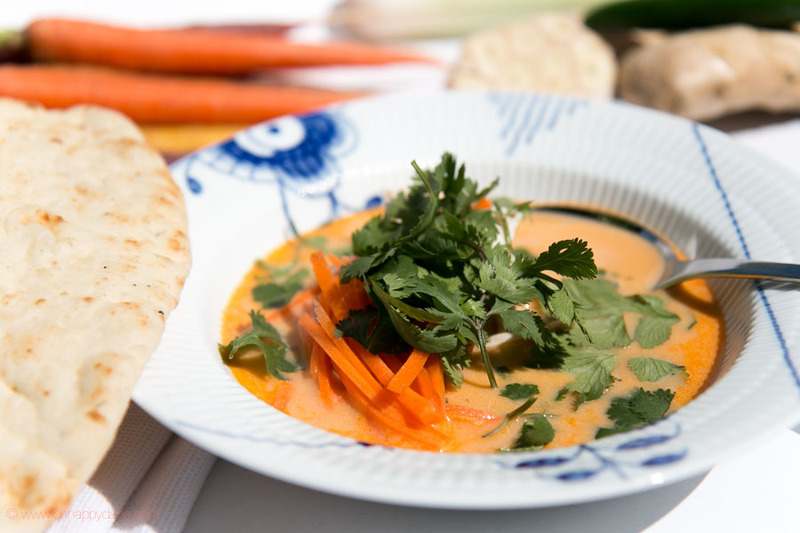 This thai curry soup with chicken is one of my family’s favorites! Its primarily because you just toss everything in a soup pan without having to peel ANY of the vegetables! 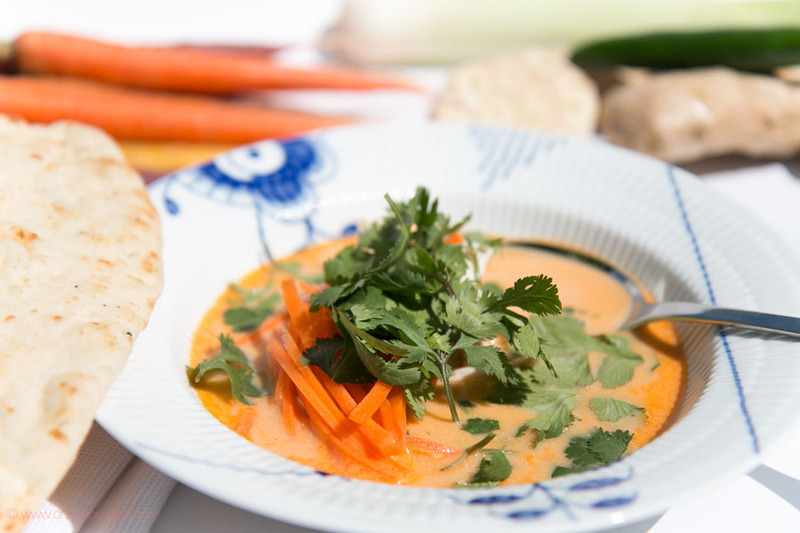 You simply just cook it all together, press the well cooked vegetables through a sieve and serve with chicken and some julienne cut vegetables and drizzle with fresh cilantro. Et voilá! Serve with Naan bread or a nice homebaked baguette with garlic/parsley butter. In a large soup pan add everything – except the liquids (lime juice, coconut milk, chicken stock and whipping cream) and cook a few minutes while stirring. Add the liquids and cook (simmer) the soup for 2-4 hours. Blend the soup and taste if more salt/peber is needed. Boil the chicken until it is tender and cool it down. Cut the chicken in bite-sized pieces. You can choose to add the chicken and the leeks- and carrots cut into julienne to the soup and cook it together for about 10 minutes – or simply just add it before serving. Sprinkle the soup with fresh coriander. Yum i would really like to try it with prawns instead of chicken. When I’ll do it, I ‘ll tell you about the result. I do that from time to time too! Looking forward to hear about your result!